I realized right away that my students were trying to use the past tense and knew high frequency phrases like “I went” and “she said” and “you said/what did you say?” but they were just winging it with other verbs. I knew a little grammar lesson could go a long way but I wanted to teach it within a context, not just with random practice sentences and worksheets. When do we need to use the past tense? When we tell/narrate a story (as intermediates should be able to do)! We started the year with a unit on art and I wanted our lessons to be based on content and culture, not grammar. So I decided to start the unit with the story of Frida Kahlo. She’s a very important woman in the Hispanic art movement and her story is shockingly full of drama. 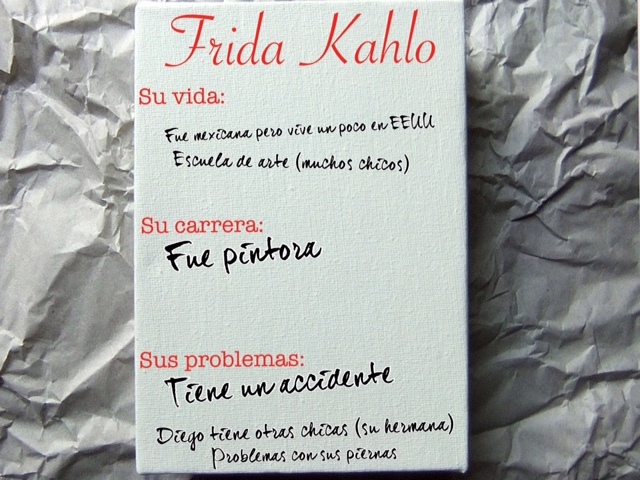 Daily Goal: I can identify important events in Frida’s life. I gave students about 15 minutes to read/skim over the article and find some key events. They were allowed to look something up if they wanted to but most were able to understand main ideas and some supporting details with no problems. Next, we discussed it (in the TL) as a class. I used the projector to shine this on my whiteboard and let the class give me their examples. I simply explained how to switch the ending to speak in the past tense about he, she, or it. I did this in English and it only took 1 minute of my 10% non-TL time. Next, students went back to the text to see how many of those past tense (3rd person) examples they could find. It’s good to use the same text again – this time for a different purpose. They took 5 minutes and then each group wrote a few on the board. They found examples in context like these and we referenced the pattern. 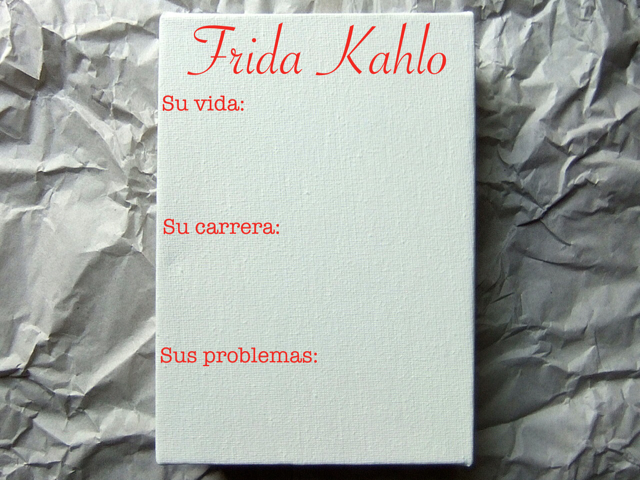 Then I wrote out a few verbs on the board and ask students to give me an example of Frida’s life, career, or problems using one of these verbs. They already had the vocabulary and they could sprinkle in a few extra details, but it was good to take 1 more minute to focus on accuracy. Finally, I wanted to see if they could use the past tense, show me they knew key events in Frida’s life, and mix the new topic/vocab with language they already knew. 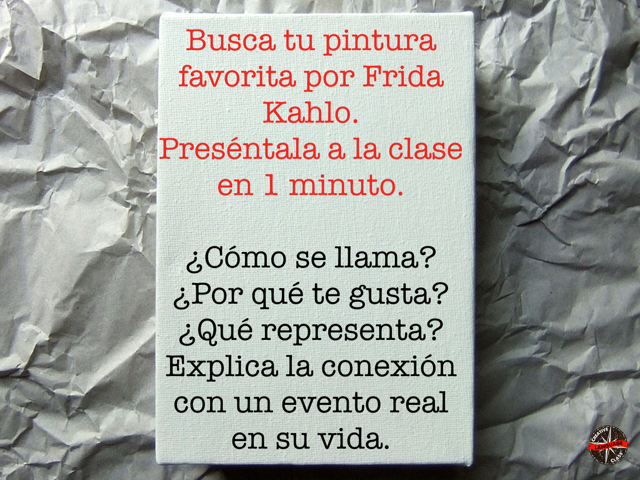 Translation: Look for your favorite painting by Frida. Present it to the class in 1 minute. What’s it called? Why do you like it? What does it represent? Explain the connection with a real event from her life. 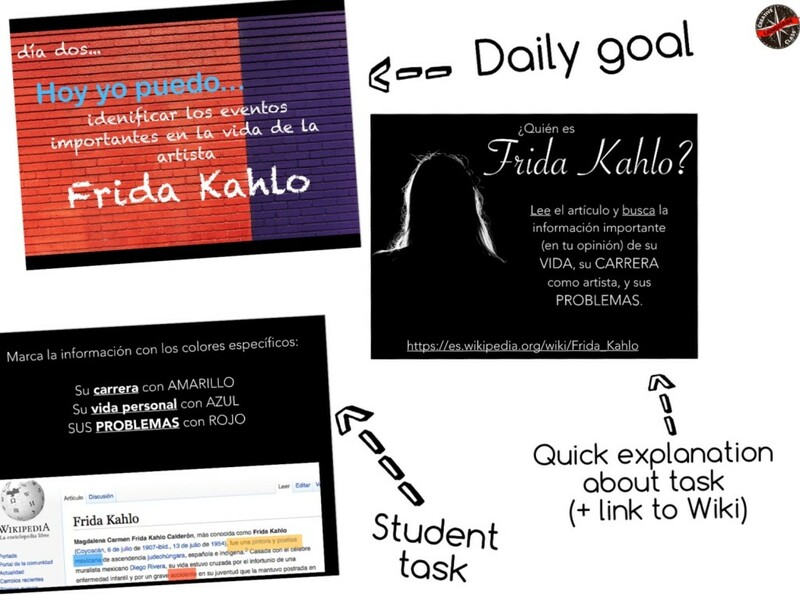 Most were able to complete the daily objective and tell me about an event in Frida’s life… and most students accurately used past tense. Some didn’t, and that’s ok. This was not a “one and done” lesson. I knew it would take time and practice, but it was a nice first step. They got the grammar “lesson” when they needed it to communicate and I only showed them what they needed. It wasn’t a long lesson. Just third person in the preterit (no warning them about irregulars, imperfect or other complicated rules). 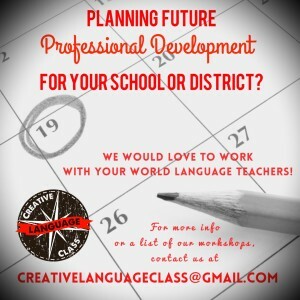 We were able to stay in the target language for most of the class. The grammar “lesson” only lasted 5-10 minutes. They still learned content – grammar was a tool. Now they could start to narrate a story. They weren’t 100% accurate but they able to figure out how to put familiar verbs in the past and were beginning to notice their own errors. Let me be clear. I’m not saying this is the best or only way to teach grammar but I’ve found that learning something IN CONTEXT helps it stick with students. Some of you are wondering, What about the other conjugations (I, you, we, they)? How did you do that in context? I was talking about Latino stereotypes and showed them clips from “Stand and Deliver” and “Una vida mejor”. I had different verbs in the preterite that we had learned and they needed to create sentences in the preterite (examples below). I don’t teach conjugations in class, but use a Blended Learning technique with notes taken for homework. I really like how you started with a cultural movie! It might be fun to let them create a movie trailer afterwards too! It would give them all a chance to decide what parts of the movie are most important to mention. Yep! 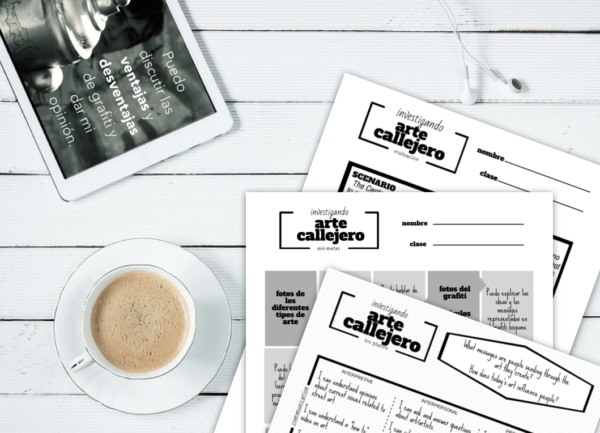 The last part of the lesson was project in which they had to develop a movie poster (with “reviews” using the preterite tense) and a plot (using preterite and some imperfect) that dispelled Latino stereotypes- it turned out great! Love it! 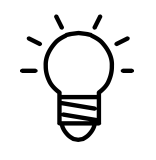 I tried something similar my 3rd or 4th year of teaching (though yours is MUCH better… I did mine on a spur of the moment “I want to teach this in context, not out of the book” whim). It worked surprisingly well, though I really like how you didn’t throw all the verbs at them in one day – I did, and while it worked fine, I think this more gradual/gentle approach might better facilitate acquisition. Good food for thought! 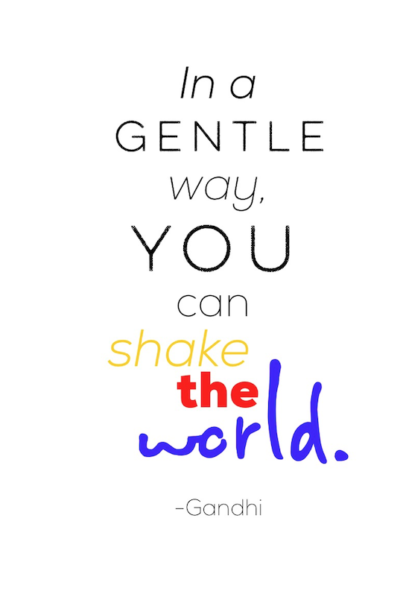 Yes… “gradual” is a good way to put it! No need for grammar overload like I had when I was in high school!